David Chiarelli - Latest Edition! 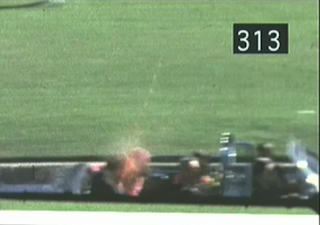 : I Remember JFK! 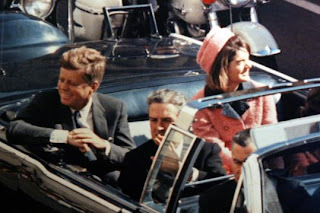 Most baby boomers can tell you where they were and what they were doing when JFK [President John F. Kennedy] was assassinated 49 years ago today. I was 7 years ago. I remember a lot of the adults crying, even though we lived in Canada, and it was the US President who had been shot and killed. That`s all there was on the two t.v. stations we got back then. There were lots and lots of talking heads. It lasted a few weeks. I kept a scrapbook of newspaper pictures. It' still around somewhere. I was pretty young but I knew it was very, very scary and sad. John Jr. salutes his father goodbye! My first recollection of JFK is from the 1962 Cuban Missile Crisis. President Kennedy was on television giving an ultimatum for the Soviet Union to remove it`s rockets from Cuba or else. It was pretty serious, that`s all I really understood. My parents were very worried. A few days later as the crisis heated up Sister So and So sent us all home from school at lunch because, she said, there was going to be a war. My family was living for awhile in the town of Deep River in the Ottawa Valley. Everybody`s parents were at work or out and about, nobody home. All my classmates including myself got our toy guns and helmets. We hid in the woods down the street waiting for the Russian attack. Air raid sirens were going off and jets were scrambling overhead leaving long vapour trails in the sky. We thought it was going to be like "Combat" a popular t.v. show at the time. 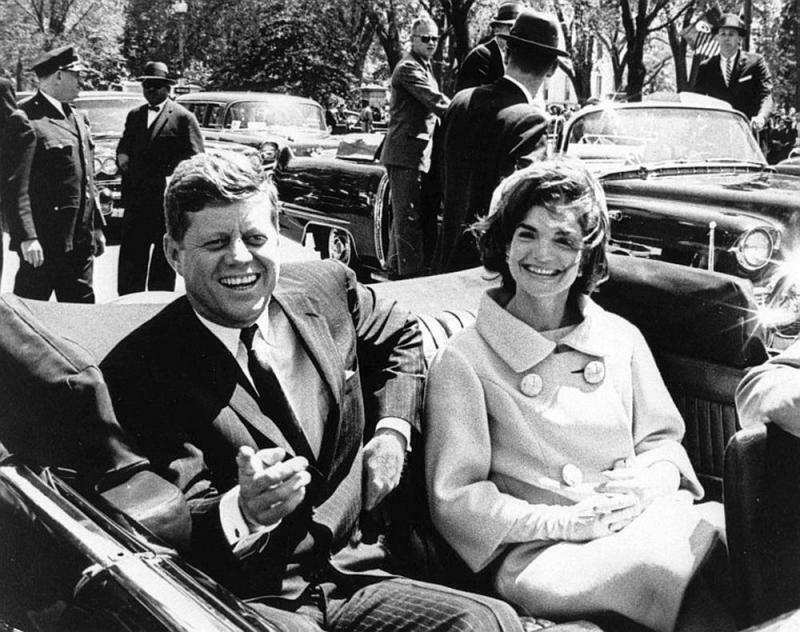 Jack and Jackie in the Dallas motorcade moments before. All is well. Afterwards I was always very interested in what had really happened. In university I completed my Honours B.A with a specialist in International Relations, a minor in Canadian Foreign Policy. I studied Canada and Cuba during the Cold War. Since then I've gone to Cuba an awful lot. Thirty times I think but I lost count. Once I located an old rusted Russian surface to air missile site in the centre of a crop field outside Santiago de Cuba. It looked like something out of a Buck Rogers movie, and had obviously been long out of use. I crept through the fields to take a photo. A Cuban soldier caught me. He was yelling and waving his rifle in the air. One of my Cuban amigos suggest I give him a lighter and some ball point pens. He let me sit cowboy style on the rocket for a picture like in the movie "Dr. Strangelove or How I stopped Worrying and Learned to Love the Bomb"`. Since then I`ve looked for some of the old rocket sites. They are probably all grown over by decades of brush growth, lost somewhere to the jungles of time. Once however I did find the tail section of the U2 spy plane the Cuban artillery shot down at the height of the Cuban Missile crisis. The wreckage was proudly displayed in a small village museum up the mountainside in Trinidad de Cuba. It was kind of neat to touch it, a link to a time long past. I suppose in my mind`s eye I am still that little boy sitting in the woods alone with my friends waiting for the end of the world, ready to go down fighting. I got so caught up in the story that I once even took one of my politics classes to Cuba on a study trip. I met some close Cuban teacher friends and have since developed the Cuban Schools Project to provide educational aid. Their story of that day pretty much parallels mine in many ways. However it is only one in a long string of events that carries on though until today. There is still a crippling US embargo against Cuba since just after the botched 1961 Bay of Pigs invasion, when Fidel Castro declared the country a socialist republic. The fatal bullet. Jackie was looking into his eyes to ask what was the matter when it hit him in the head. Did you know there was a signed greeting on a box of Cuban cigars from Che Guevera on President Kennedy`s desk when he died? Apparently JFK was going to lift the embargo. Of course people also say there wouldn`t have been a Vietnam War had he lived. It`s all speculation. We really don`t know although a lot of the pundits still figure the tumultuous sixties would have turned out quite differently had he not been killed. Next year will be the 50th anniversary since he was killed. Quite a few classified documents are supposed to be finally released. Maybe we will find out a lot more of the real story then, including whether Lee Harvey Oswald was the lone gunman who shot President Kennedy. Maybe we won`t. JFK certainly had a lot of enemies from the mafia, to US steel, the US military establishment, J. Edgar Hoover, the list goes on and on. Some pundits even blame the Cubans, though Fidel Castro is adamant he had no reason. Apparently Kennedy and he quite understood each other very well after the crisis. It will be interesting to see if anything really important is declassified next year, but don`t hold your breath. There are certainly quite a few layers to every aspect of the Kennedy legacy to support the public myth that the early sixties were a golden era like Camelot. He was the king. America was on a quest to save the world and on the home front everything was hunky dory. I could go on and on but it`s not really true. I don`t think so. A lot of`the truth was probably silenced forever in our lifetime by a bullet or two on November 22 1963. Media Alert: Some end of the month thoughts! The Disenfranchised OECTA Teacher Petition! Toronto Mayor Rob Ford? Chair Vacant! OSSTF Contract: What Teachers Lost? The OECTA MOU Verses OSSTF's Contract? OECTA MOU? President O'Dwyer's Reply! News Flash! 6 Tentative Contracts Approved! News Flash: 6 Tentative Contracts! Etc! Queen's Park: One Month + Counting! A Canuck's Guide to the US Election!